Lamor by Ahuja Group is Located between Andheri Link Road and S.V Road this project is very close to the upcoming Oshiwara Railway Station and its located very close to Lokhandwala Complex, Andheri West. 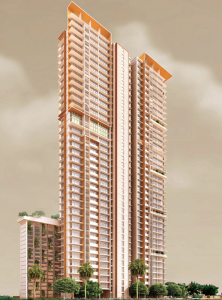 It has 2 wings of 37th storeys with spacious 2 and 3 BHK units with all modern amenities. 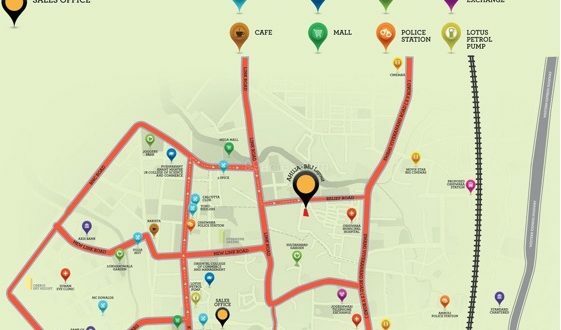 Keeping in mind its proximity to Lokhandwala area and the rate it offers we feel it’s a good option to be considered as the rates if compared. L’amor is jointly developed with the Ahuja Group and BBJ World wide. 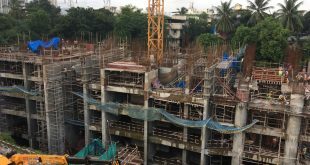 It was launched towards the End of the Year 2012 as a pre-launch and it has sold of most of the 2 BHK apartments on Lower Floors. The inventory available for 2 bhk is only on Higher Floors. 3 BHK apartments are available across the project as of now. 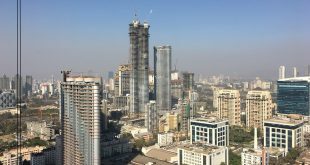 The appreciation looks positive as the project price is still humble compared to the other projects in the vicinity and its value for money for people who want to be around the Lokhandwala, Andheri west as an absolute preference and a neccessity. The area around the project is under development and the next 3-4 years will see a major clearing up of this area as several builders have taken the pockets around this project and will be redeveloping them into upmarket Residential Projects. Its recommended for home buyers looking to be in Oshiwara. The project completion time is by the end of 2017. The current project price in July 2016 is approximately 12700 psf with floor rise of Rs.90/- per sq.ft. 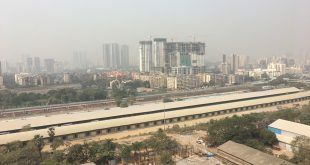 On the West Side is the Oshiwara and Lokhandwala Complex, on the East Side is the S V Road. On the North Side you face the Wadhwa/Radius Developers – Imperial Heights, where there are C and D wings still under construction. On the South side you see the back side of the Veera Desai Road from higher floor and the view is to buildings like Oberoi Springs. The location is still upcoming and it is an SRA project. The approximate price for a 2 BHK goes around 2.40 cr for higher floors, in July 2015. For further information, site visit or inspection of the property, please call or mail Indu Sadh on 0091 9819311244 – indu@mumbaipropertyexchange.com.